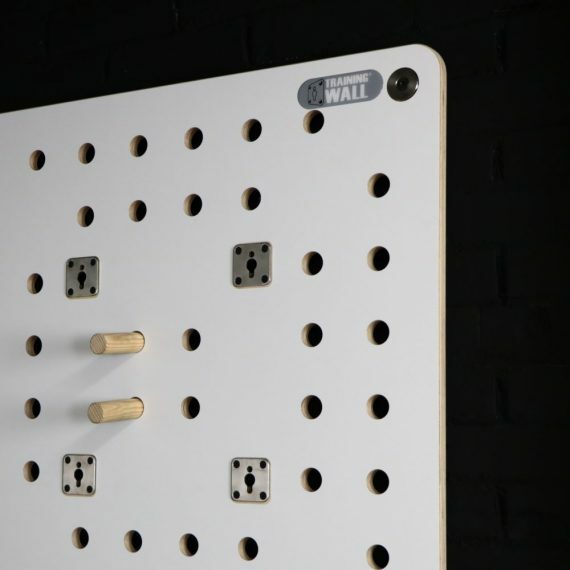 The Training Wall® Peg Board, manufactured in Barcelona from 32 mm thick solid premium hardwood, provides a thrilling challenge for climbing with sticks. Pegboard climbing develops the upper-body to give a strong physical workout to the muscles in the arms, shoulders, forearms, hands, upper body and core. 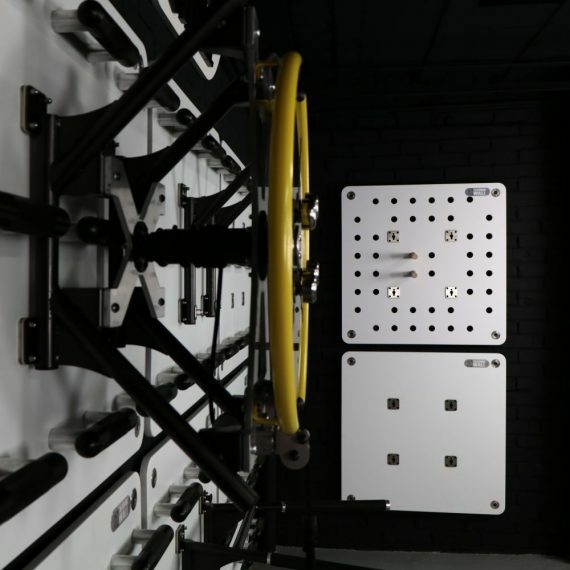 Unlike rock climbing, there are no preset points of contact on a pegboard. It, therefore, allows much more freedom of movement and can help to develop back muscles that are not addressed by traditional pull-ups and rock climbing. The Peg Panel will push you to a very challenging activity. You can make it easier by installing it above a Wall Unit Panel to use the feet or even to perform Training Wall Movements. With the stainless-steel anchors you can easily attach the Training Wall tool you need for a complete training session. 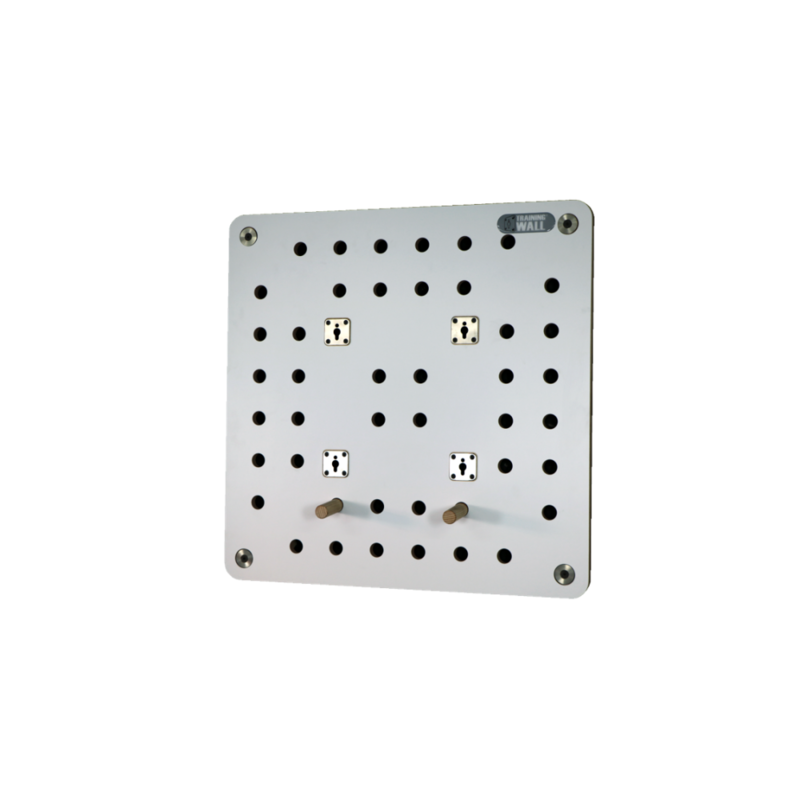 With the reinforcement of the rear frame, and adding the tool needed, you have endless options with this peg panel.